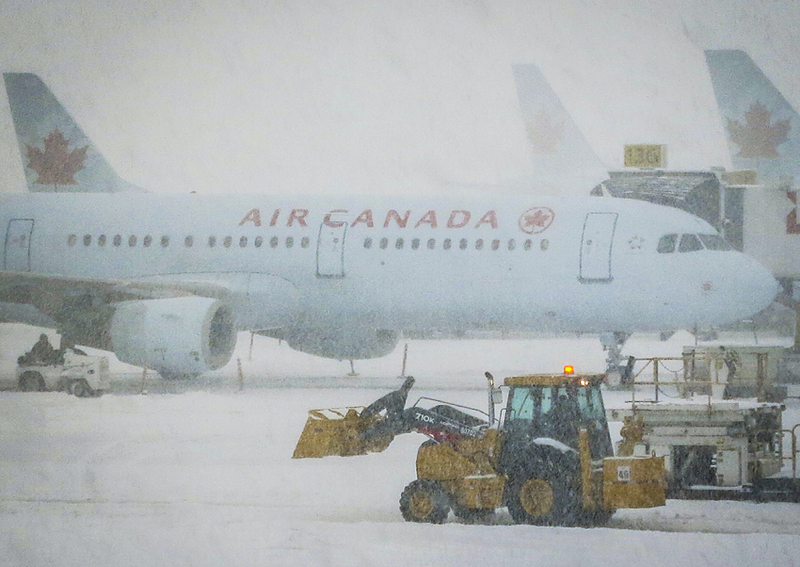 It’s winter – there will be plenty of flight delays, cancelled flights and re-routed flights. Add in the millions (or billions) of other peoples’ suitcases and it’s inevitable that sooner or later – you’re going to have your suitcase going AWOL. Airlines make $Billions on regular or excess baggage fees for domestic flights. Can you trim your luggage and save $25-$50 for each flight? Similar and additional to tip number 1 – If you have no choice but to make connecting flights, do so via a warmer-weather airports such as Miami or Houston instead of Dulles, Newark or Montreal. If a storm hits while you’re travelling, get ahead of the storm and other travellers by changing your connection through an airport that’s less likely to get snowed in. The airline may want to re-route you through Chicago, but going via Miami will lessen the possibility of additional delays/cancellation/re-routing. If your flight is severely delayed – is there any point on continuing your journey? 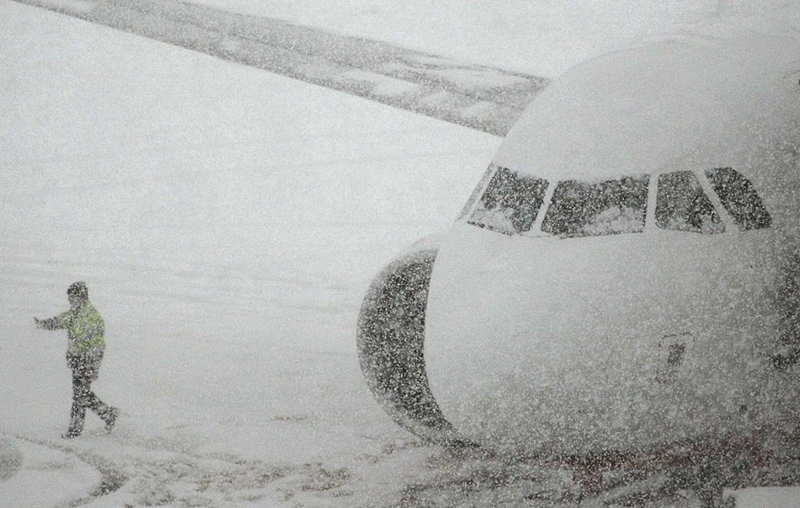 If your flight has been cancelled you can ask for a full refund. No one wants to spend more time at the airport than is necessary, but if your flight is affected, you’ll increase your chances of getting on an earlier flight (or a different connection/city). Although the first flights of the day means you have to wake up early, they tend to operate with fewer delays, but there’s no guarantee that early flights won’t be snowed in as often as later ones. This is a great option if you’re stranded en-route or killing time waiting for your flight. Most airlines have a lounge at major airports and are only too happy to take some more of your money. Many offer one-day passes to their lounges for $50-100. If your chosen airline is a member of Oneworld, SkyTeam or Star Alliance network, you may be able to get access to another airlines’ lounge. Air Canada has Maple Leaf lounges at selected airports and the US airlines have Admirals Club (American), SkyClub (Delta) and United Club (United – also a member of Star Alliance network). Severe weather events are the best times to pay for a one-day airline lounge pass – but don’t sit around waiting while it fills up. 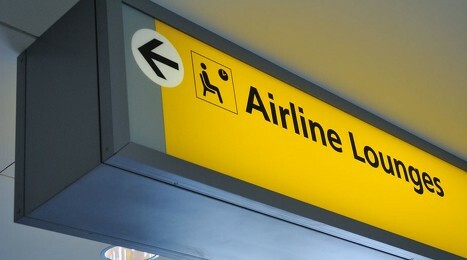 It’s more pleasant to wait in comfort, plus the re-booking lines are shorter than in the terminals. If you didn’t buy travel insurance…why not?! Actually we don’t buy insurance anymore because our Visa card has a comprehensive insurance plan included that even covers us for healthcare outside of our province. 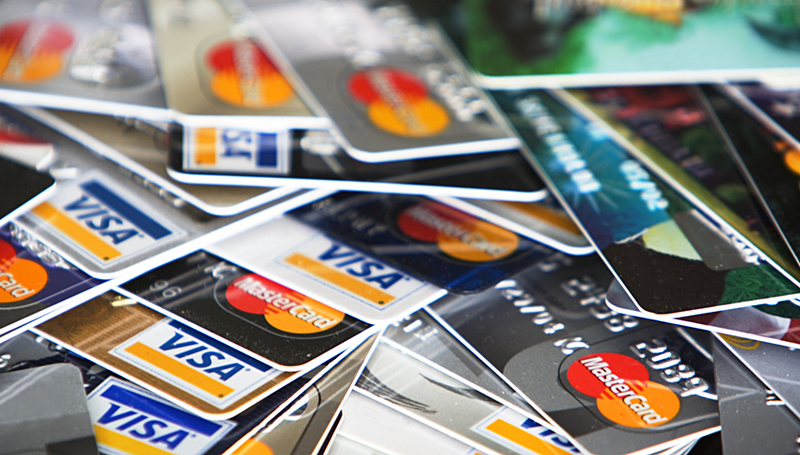 Check your credit card, you may have great coverage and not even know it. Many credit cards offer free compensation for weather related delays and cancellations – they’ll cover hotel expenses, flight delays/cancellations, lost luggage as well as any non-refundable hotel reservations. 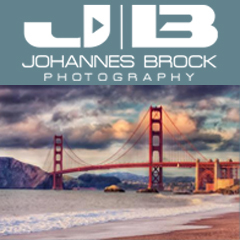 Credit Card Insurance Coverage Some credit card issuers have extensive travel insurance buried in their fine-print contracts, however the benefits vary widely between issuers. (You probably threw away the fine print documents when you received your card but don’t worry – it’s easy to check because it’ll be on line). Depending on the card(s) you used to pay for your trip, your issuer’s built-in, free travel insurance might compensate you for all or at least part of your loss, if you ever have a laptop or phone stolen or “gone missing” during TSA scanning. 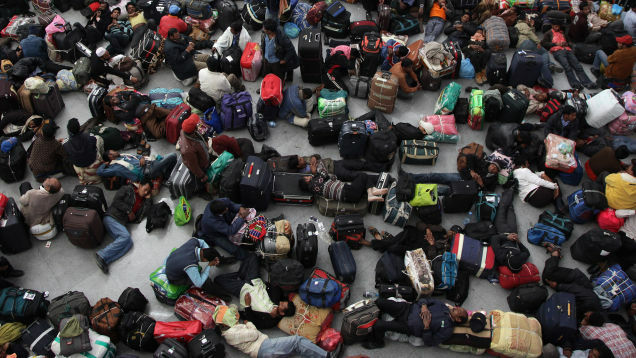 Did the airline lose your bags? 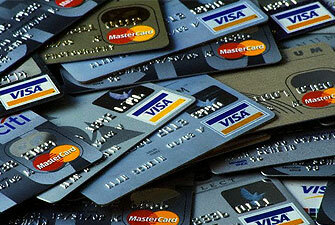 The credit card insurance is usually much greater than the $500 compensation the airline will offer you. Our insurance covers us for $1,500 per bag lost or delayed for 4 hours or longer. Your flight is interrupted or delayed after departure due to a “covered reason”- typically one or more (but not always all) of the following: illness, injury, labour strikes, equipment failure, or weather. No card covers all possible causes of a delay, but if it’s not in the “covered reasons” (eg: the flight crew showing up late for your flight or congestion-related air traffic control delays) you’re probably on your own. You or a traveling companion or immediate family member becomes ill or injured before departure and you need to cancel your plans. Many credit cards cover non-refundable trip arrangements that effect you or a family member – whether travelling with you or not. In all cases, pre-existing conditions are not covered. The airline loses your checked bag or someone steals something from your carry-on bag or your bag is delayed upon arrival. Different cards define a delay differently, for some it’s just four hours but for another it might be as long as 12 hours. The bonus is, that in almost all cases the lost bag coverage is in “excess” of whatever you collect from the airline or any other insurance you might have such as homeowners insurance. Some credit cards even cover items such as computers, cell phones and jewellery, although for no more than $500 per incident – but at least it’s something, bearing in mind that the airlines don’t cover these things at all! Note that some cards require that you pay the entire cost of your trip on the card to qualify for your coverage, while others settle for just a portion of the trip. Some cards cover trips of up to 30 days, others up to 60. This free coverage varies wildly between different credit cards – even issued by the same bank, so be sure to read the fine print – right now as you may have great coverage and not even know it! 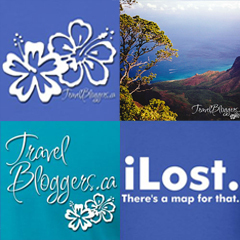 Copyright © 2016 Iain & Gail Shankland / TravelBloggers.ca (at) Gmail.com. All rights reserved. 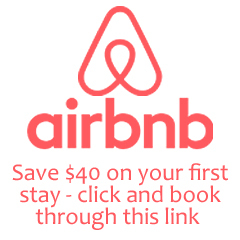 Airbnb – use this link (www.airbnb.ca/c/gails610) and get a $50 CDN travel credit off your first booking!